This morning we join the famous Jumping Crocodile Cruise. 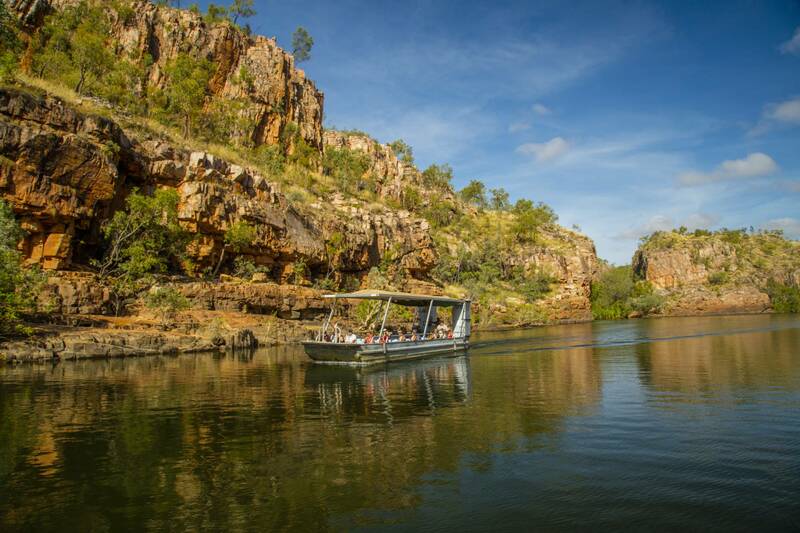 Travel into Kakadu National Park for lunch and visit the Bowali Visitor Centre. There is time for an optional 30 min scenic flight over Kakadu (own expense). 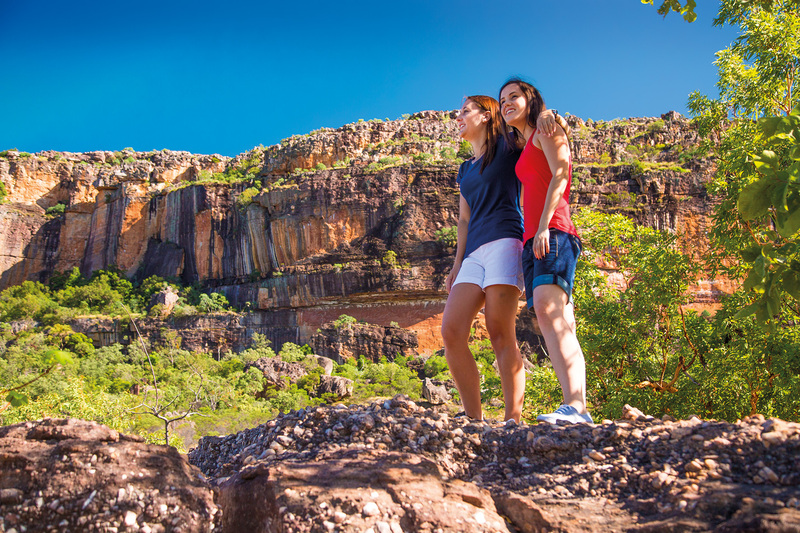 View ancient Aboriginal rock art and take a guided walk to the top of Ubirr for magnificent views. 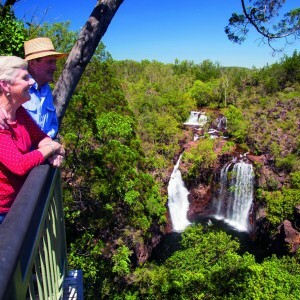 You can take this optional 30 minute Kakadu Scenic Flight on the day indicated. Take a guided walk at Nourlangie Rock to view Aboriginal rock art. 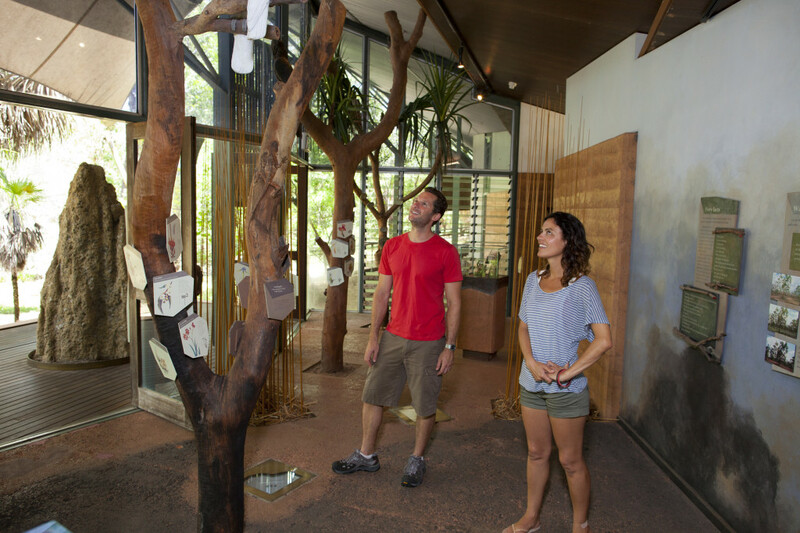 Visit the Warradjan Aboriginal Cultural Centre and view the informative exhibits and displays. 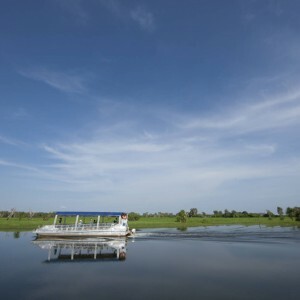 After lunch join a cruise on Yellow Water Billabong. 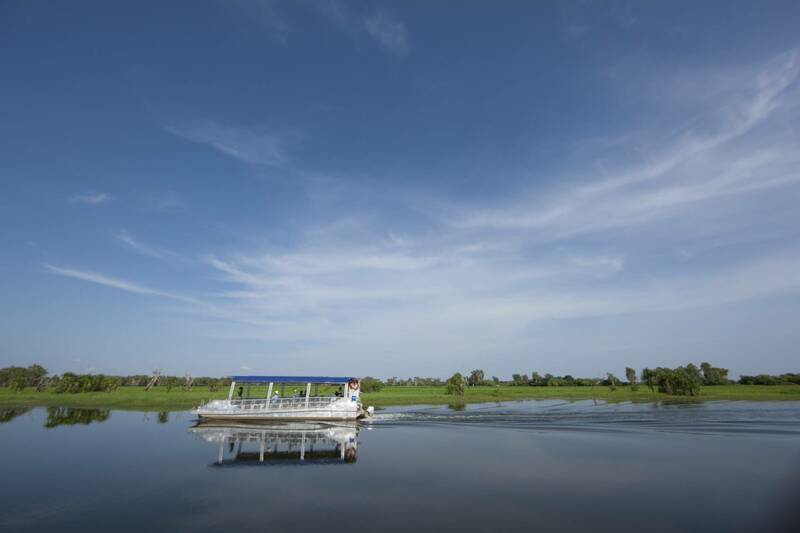 Travel to Katherine. 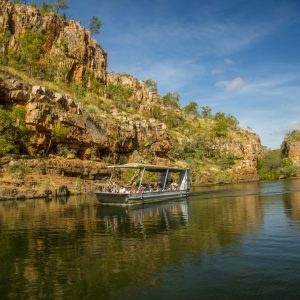 Enjoy breakfast while cruising through Katherine Gorge and watch for crocodiles basking in the sun. Visit the informative National Park Information Centre, then continue to Edith Falls. The paperbark and pandanas fringed natural pool at the base of the falls is safe for swimming throughout most of the year (conditions permitting) Stop at the Adelaide RiverWar Cemetery, en route to Darwin. Note: During May access to Ubirr is not always possible. Alternative touring will be arranged. Note: A reasonable level of mobility is required. All prices are per person, land only. †Single passenger must pay the single price. 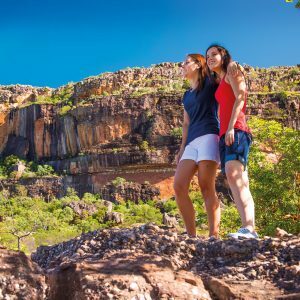 *Kakadu National Park entry fee is included. 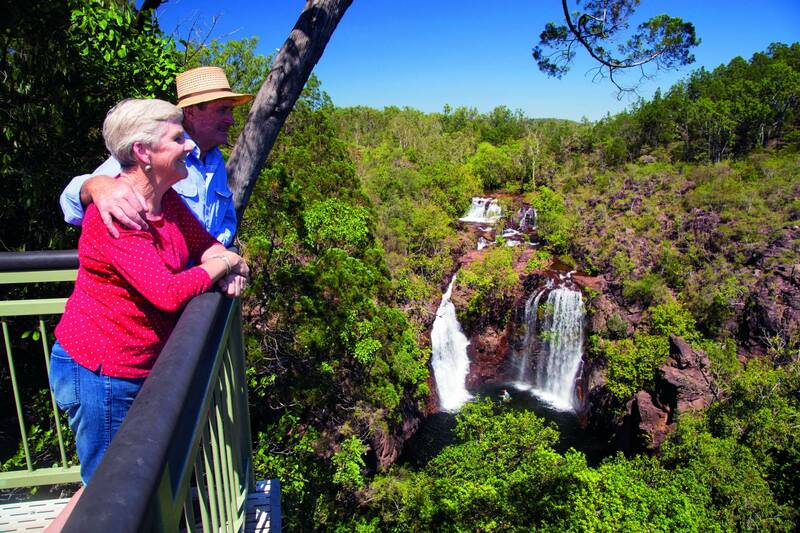 Monday and Friday departures visit Litchfield National Park on day 1. Green season itinerary operates November to April. Tour code: DG55. Day 2 overnight in Darwin instead of Katherine. Please enquire for prices & itinerary details. Low level of fitness required. Small amount of walking including a 10-15 minute walk on uneven ground with a gradual climb to the viewing point. There is wheelchair access, however, this is on uneven ground and is accessible for only a small part of the walk and must have a carer to assist. Itineraries are subject to change without notice due to seasonal conditions.